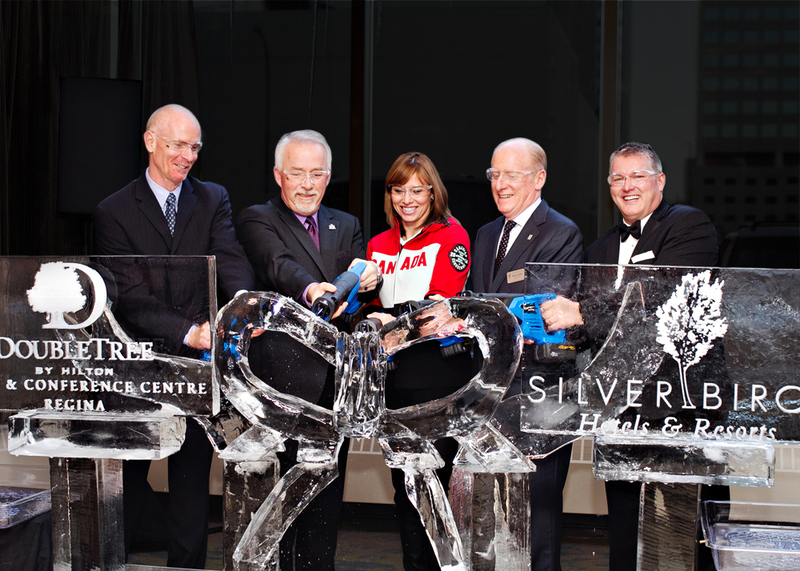 Regina, SK, December 10, 2013 – Today, SilverBirch Hotels & Resorts officially celebrates the opening of the DoubleTree by Hilton™ Hotel and Conference Centre Regina. 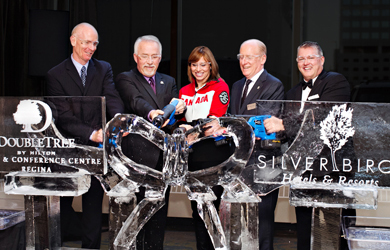 The grand opening celebration will include special guest Catriona Le May Doan, Officer of the Order of Canada and three-time Olympic medalist, and Deputy Mayor Jerry Flegel helping SilverBirch and DoubleTree by Hilton executives officially cut the ribbon on the revitalized hotel. The event marks a new beginning for the former Regina Inn Hotel. Guests attending the event will be a part of an innovative ribbon cutting ceremony, have the opportunity to indulge in the tastes of the hotel’s new Wild Sage Kitchen & Bar®, and experience the luxuries of the hotel by touring the facilities. On the tour, guests will see the hotel’s breadth of offerings to meet travel, meetings and event needs, such as the completely renovated upscale guestrooms and the technologically-advanced and ergonomically-designed conference rooms of the SilverBirch Conference Centre®. The celebration follows a 10-month renovation and the DoubleTree by Hilton Hotel and Conference Centre Regina welcomes guests with a fresh new look that pulls from the city’s beautiful rustic aesthetic contrasted with modern, industrial design touches. With a fast-growing, global collection of more than 350 upscale hotels in gateway cities, metropolitan areas and vacation destinations across six continents, every little thing we do at DoubleTree by Hilton inspires us to create a rewarding experience for our hotel guests, our team members and the communities we proudly serve. Our hospitality begins with a warm chocolate chip cookie welcome upon arrival and continues with the award-winning Hilton HHonors guest loyalty program, an array of fine services and amenities and our longstanding CARE Culture tradition that empowers more than 65,000 team members to provide the special comforts and acts of kindness that make the traveler feel human again.